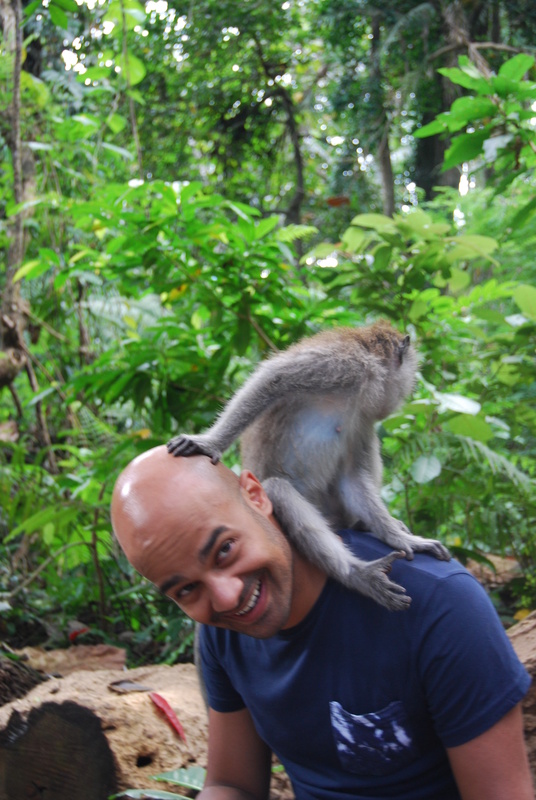 It took Mo and I some time to adjust to Bali when we arrived, as we had got used to the hustle and bustle of Jakarta. 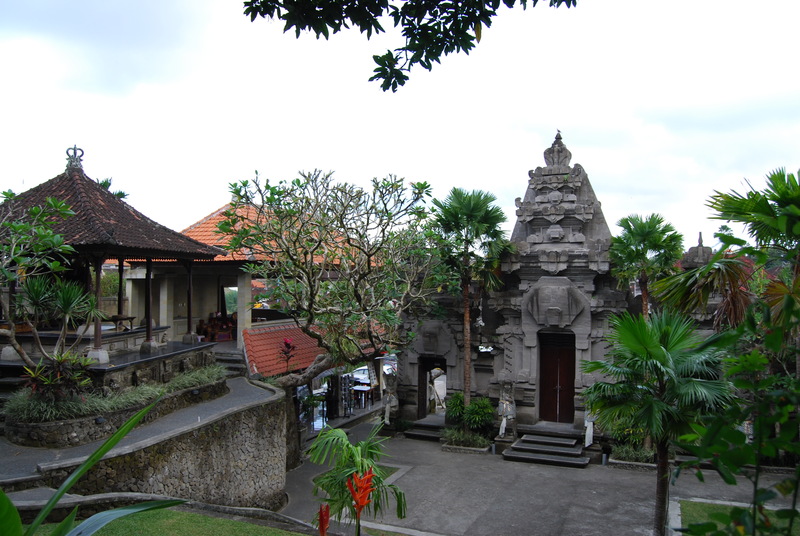 Bali, Ubud in particular, is a stark contrast. Nestled in the hills amongst the rice paddies and forests we arrived at night and it was difficult to gauge our surroundings. The shadows of statues lining the streets flickered as we drove past in the dim street lights and I have to admit, we felt a bit uneasy arriving in this foreign land. 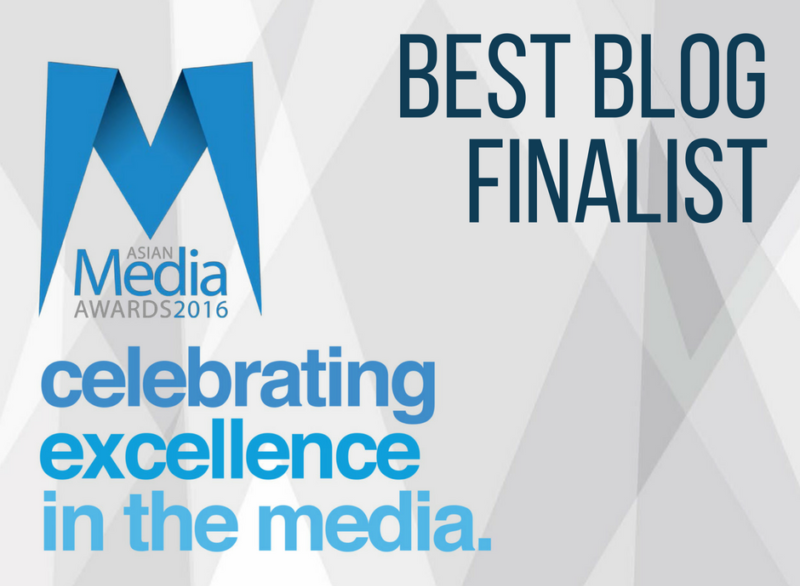 However an extremely peaceful nights rest at The Alila Ubud (see separate post) and we were ready for action! 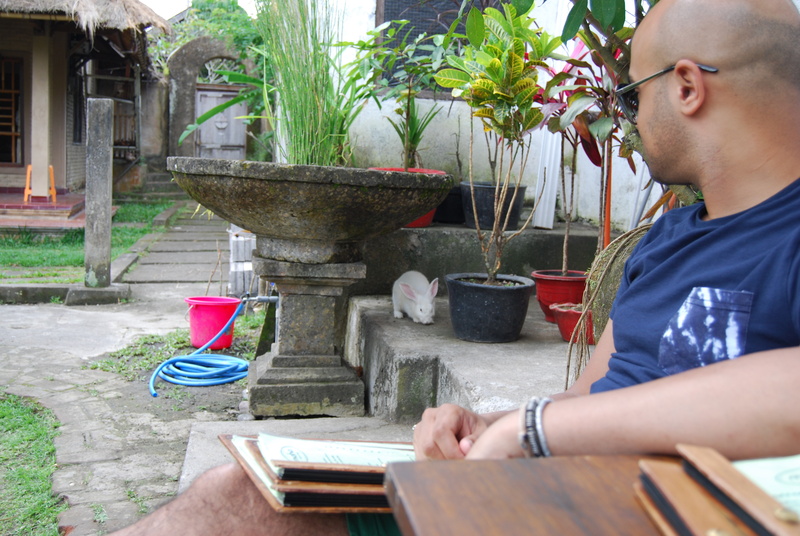 Ubud town is incredibly vibrant and has a wonderful atmosphere, we were very sad to leave after our short visit. One thing we would recommend is if you get the chance, talk to some of the locals whether they’re in the shops or from your hotel. Our love for Ubud grew when we spoke to individuals who showed such passion and love for Bali and the peace and harmony they all aspire to. As a popular local drop off point for hotels, Bridges is a hugely famous restaurant in Ubud which is known for its good views, atmospheric dining and large menu selection. Although we never got the chance to eat here we did stop for coffee’s and desserts on a rainy evening and soaked in the atmosphere. Very popular with tourists though, which might not appeal to some people. 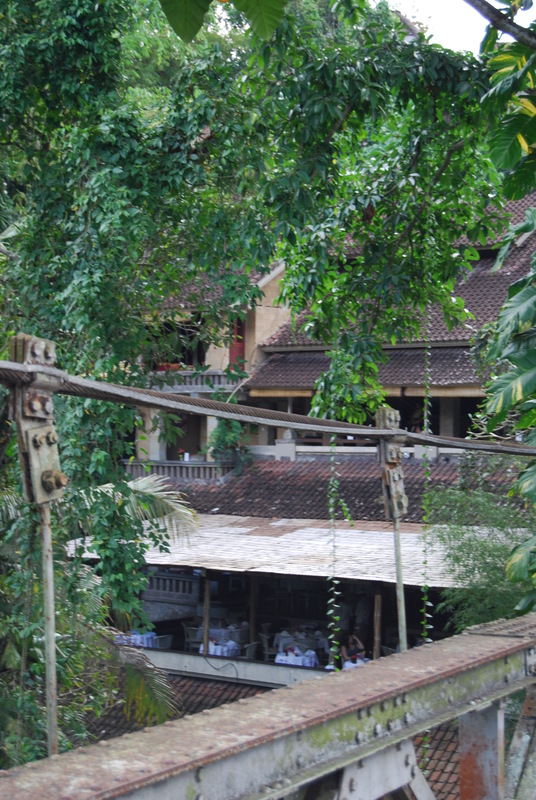 The restaurant is named Bridges as it sits next to the oldest Bridge in Ubud, also known as ‘Lovers Bridge’ so make sure you leisurely walk across and take some pics, it looks exceptionally magical at night when all the twinkly lights are on. 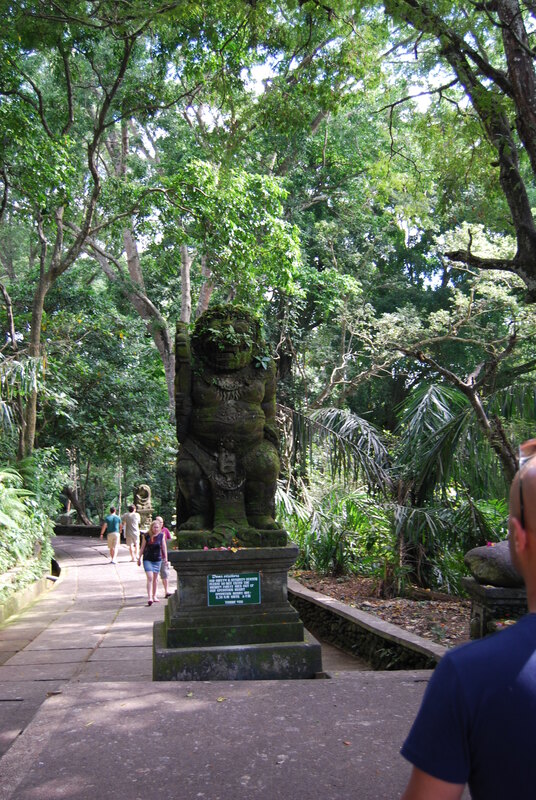 You can’t go to Ubud and not take the time to visit this Sacred Nature reserve! 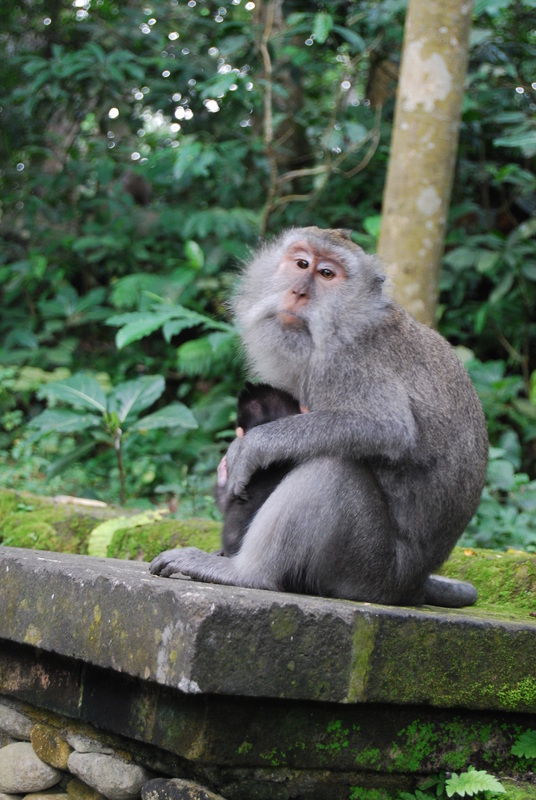 The scenery within it is serene and beautiful and of course there are monkeys everywhere. Make sure you buy a bunch of bananas each before you go in, money for the locals and its good fun watching your partner get stalked as these monkeys know exactly what they’re doing! Monkey forest is about a 45min walk from the central market (down Monkey Forest Road surprisingly) but of course there’s plenty of taxis around if the day is too hot. I would point out we struggled to find taxi’s back to the town for some strange reason?? but there are plenty of shops along the way back to the main market to break up the walk. This Café is on Monkey Forest Road and we dived in to this place when we started feeling weak from hunger. This café was definitely up my street. Take a walk through the main entrance and into the outdoor seating area, much better than sitting inside! 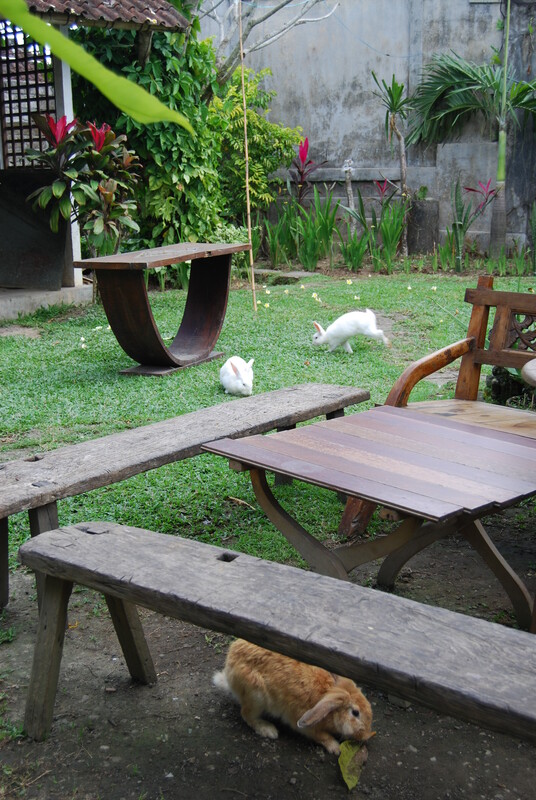 The place was busy, the garden area was quirky, there were raised floor-seating areas, willowy trees provided shade, comfy benches and best of all fat little rabbits running free and provided great entertainment! Rabbits aside, the food was lovely, meat is halal at this place. Mo had a really refreshing fresh juice drink while we were here which for the life of me I can’t remember what it was but I remember it being delicious and perfect for a hot afternoon! Would recommend visiting during the day time rather than the evening as I believe it is meant to a popular bar haunt by night. 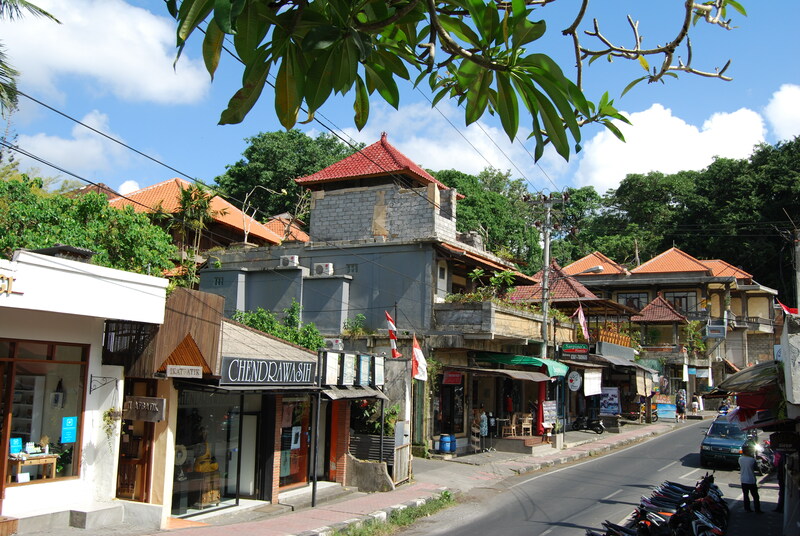 At the meeting point of Jalan Raya and Jalan Monkey Forest are Ubud Market and Ubud Palace. Again, because of time we didn’t get a chance to see Ubud Palace but we did thankfully get to check out the vibrant markets! From my research the markets showcase different goods at different times of the day. If you happen to be staying near the town centre it may be worth an early morning trip for the food and flower market which apparently starts at 6am and is aimed at the locals (I would obviously check with the hotel whether this still goes on) The Balinese people make daily offerings of flowers, which you will notice everywhere you go, so I can imagine the flower market would be a wonderful sight to see. We were able to visit the regular arts and crafts market, aimed at tourists but definitely a place to go to pick up a good deal. Usual market tip: Haggle!!! 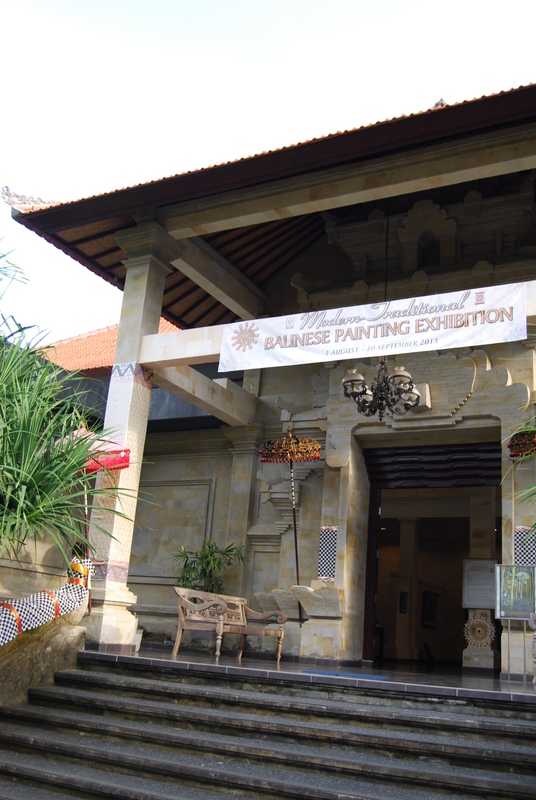 The batiks are sensational, the art is stunning and you will be able to find something for everyone if you want to take back any souvenirs. We visited a lot of the private art shops when we were there and found ourselves an original oil painting of a rice paddy field where the colours and strokes mimicked the calmness and beauty we discovered in Bali. 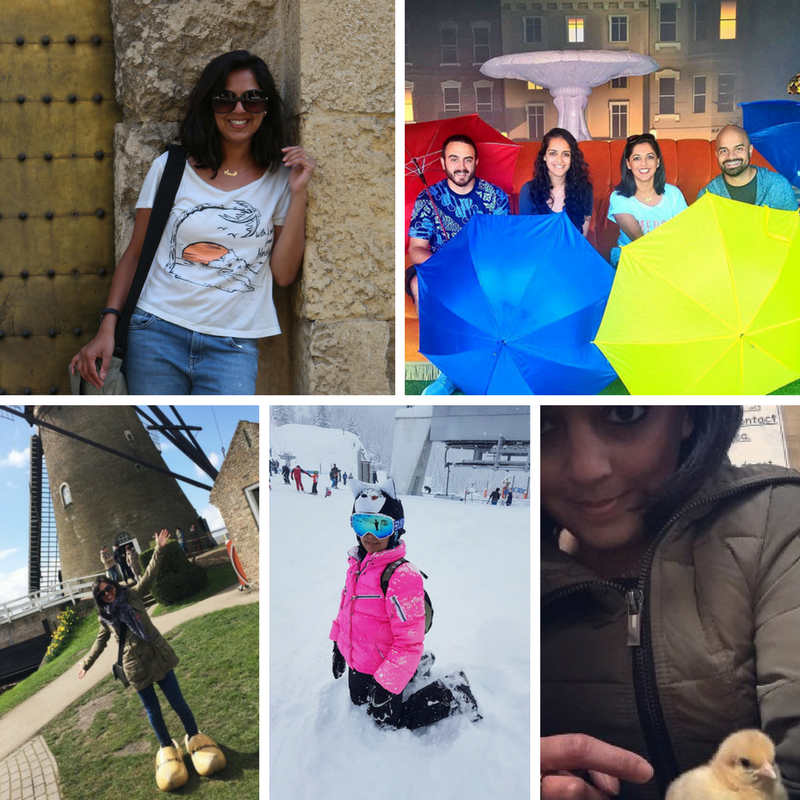 Of course the most important thing you have to try…. MASSAGE!!!! If you are struggling to find a good place to go for this (which I highly doubt) then Mo and I would definitely recommend the spa at the Alila Ubud hotel. The couples room is a private covered outdoor area and the massages are absolute BLISS. French restaurant, another one of the famous places to eat in Ubud. Food here is supposed to be amazing, I’d say a great place to go as a special Romantic treat. Again a place I wish we had taken the time to visit as the views are supposedly incredible and the dinner is meant to be fantastic too.